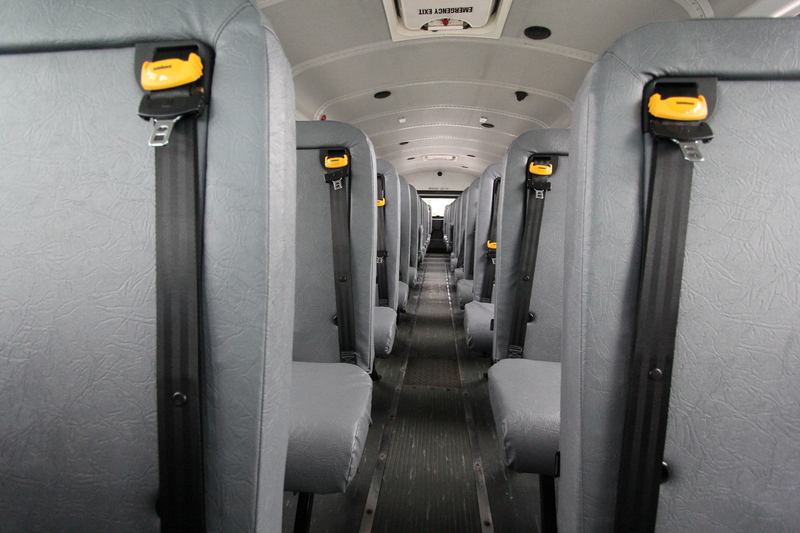 When asked recently if seat belts made school buses safer, NHTSA Administrator Mark Rosekind answered, “Absolutely.” We agree, and like Mr. Rosekind, we also know that there are a few challenges districts face when it comes to outfitting their fleet with lap-shoulder belts. Perhaps one of the biggest is simply where to start. We have the answer: their travel buses. What do we mean by travel buses? We’re talking about the school buses that are used for school activities, field trips, and sporting events. These school buses are the ones most likely to leave the relatively slower and safer speeds of neighborhood streets behind as they merge onto highways and interstates traveling at speeds of 55 mph or more. Surrounded by more traffic and many vehicles that match or exceed the school bus in size, travel buses are the most at risk for more serious crashes. These buses, the ones that go further and faster than the rest of the fleet, are the perfect starting point to begin the process of adding seat belts. Why are travel buses the perfect place to start? Most districts can’t go out and buy an entirely new fleet of school buses equipped with lap-shoulder belts, nor can the afford the expense of retrofitting all the buses they currently operate. Seat belts typically need to be phased in with the purchase of new buses over several years. It makes sense to start with the buses that travel the furthest and fastest, especially when seat belts could mean the difference between life and death in a high speed crash or rollover. Parents will also want to know why your district didn’t start with their child’s school bus, but every parent can understand that protecting those most at risk first makes the most sense. 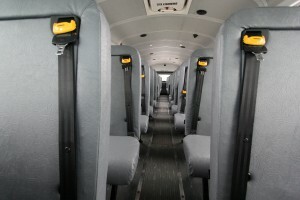 In all likelihood, their child will be better protected in one of these school buses on the way to a sporting event or field trip, a time when a parent will be relieved by the additional protection seat belts can provide. In districts that have taken this approach, parent support has been high. When it comes to knowing where to start with seat belts, travel buses make sense for districts AND parents. Watch the difference lap-shoulder belts can make in a rollover accident below. To watch more crash demonstrations that show the effectiveness of seat belts versus standard compartmentalization protection, visit our crash test page.